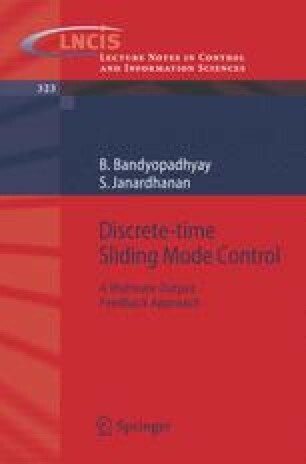 In this chapter, a brief introduction to the concepts of sliding mode control and multirate output feedback would be given. The chapter would describe and distinguish the concepts of variable structure control and sliding mode control and would clarify the concept of discrete-time sliding mode and discrete-time sliding mode control. The chapter would also explain the concept of multirate output sampling and the relationship between the system states and the output samples for linear time invariant systems.